Get the most out of your outdoor relaxing space even on the sunniest days with the Mauritius Cantilever Umbrella. 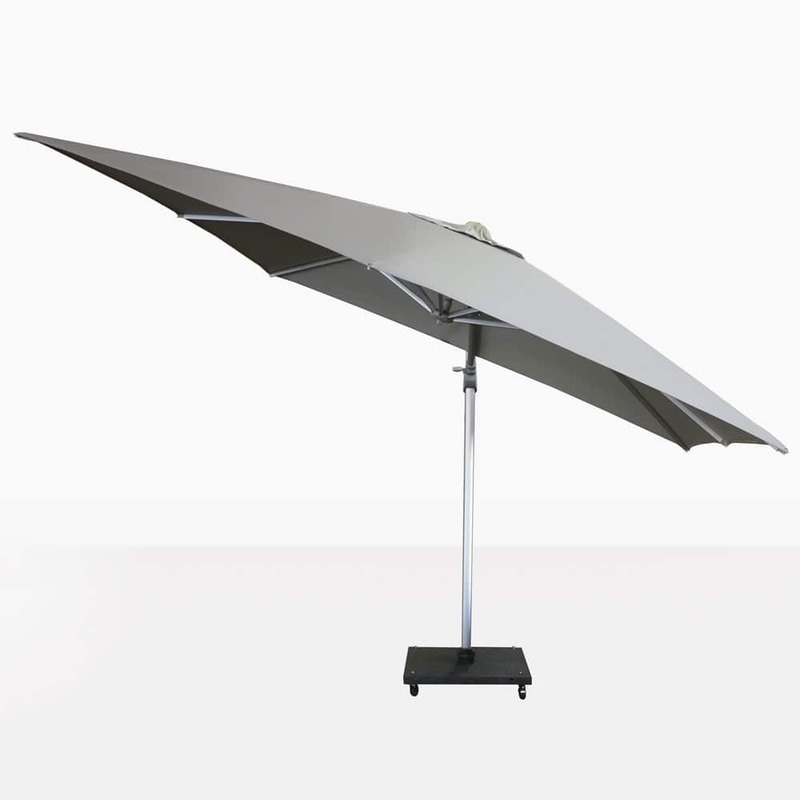 This clever umbrella tilts to 3 different angles so that you can follow the sun and stay covered as the day goes on. 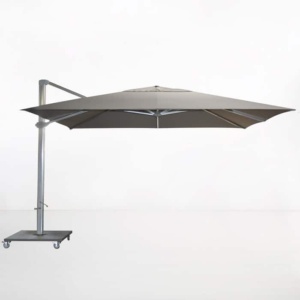 This heavy-duty cantilever umbrella has sharp modern good looks and is easy to use. 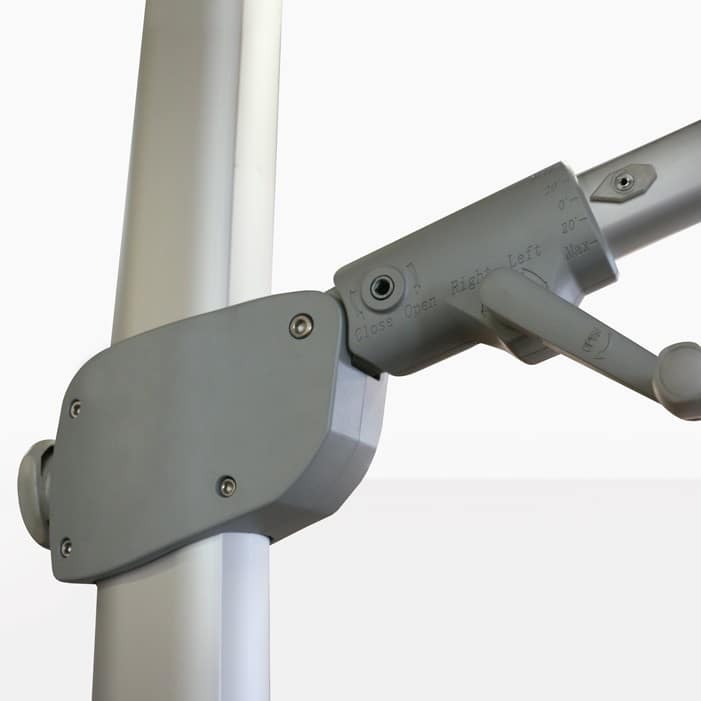 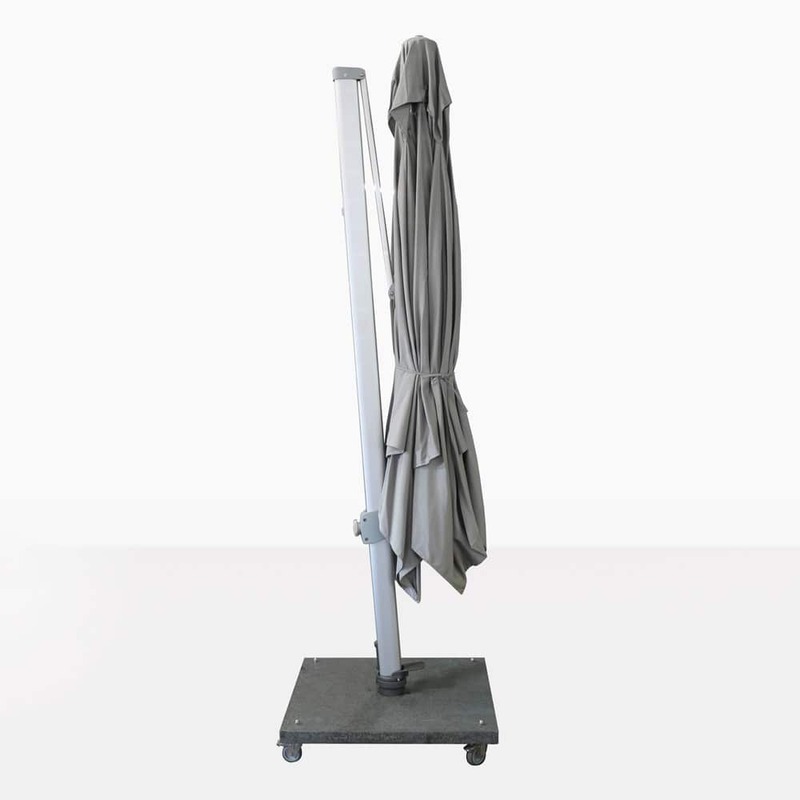 It is made with stainless steel, anodized aluminum and grey Sunbrella® fabric. 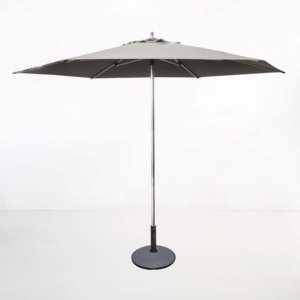 The granite base with wheels shown here is included in the price of the umbrella. The overall height of the Mauritius Cantilever Umbrella from ground to the top of the canopy is 267cm, this includes the height of the base with wheels. 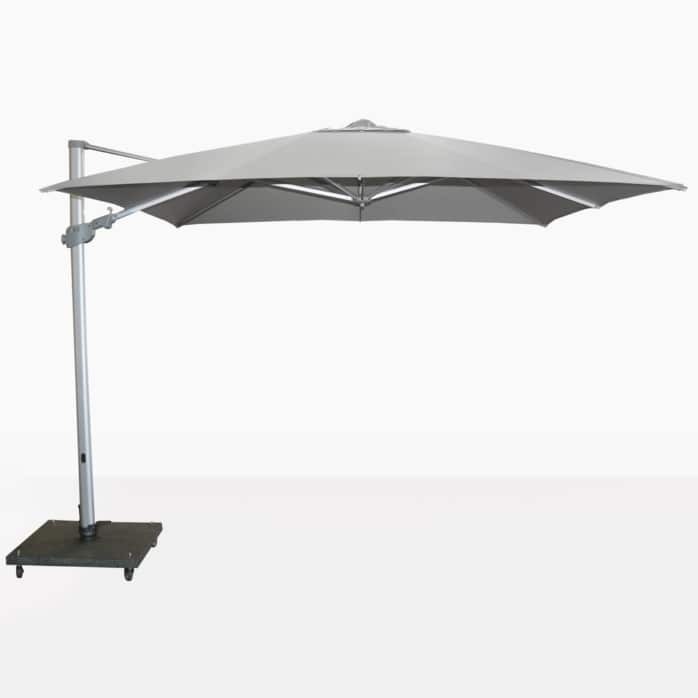 Please call us today if you have questions about any of our outdoor products, we are here to help!